Coffee, croissant, L’Equipe. It’s such a pleasant routine during the cycling season but if Alexandr Vinokourov emerges from his Monaco apartment this morning in search of the newspapers he’s in for a scolding surprise. L’Equipe reports that the UCI has asked its Licence Commission to withdraw the Astana team’s licence and the UCI has confirmed this with a press release. It’s a giant move, to ban any team is serious but to exclude the reigning Tour de France champion and a team that is a flag carrier for a large country is a bombshell. “After careful review of this extensive report, the UCI strongly believes that it contains compelling grounds to refer the matter to the Licence Commission (2) and request the Astana Pro Team licence be withdrawn. The UCI also cites some evidence from the Padova inquiry following its receipt of files from the Italian police. But we don’t get much more. For this we need to turn to French sports daily L’Equipe which broke the story before the UCI put out its statement. The article is in the print edition and behind a paywall for now, journalism costs money after all. I won’t parrot the whole piece here either. But in one sentence it’s saying the UCI, it believes, the ISSUL report contains enough grounds to suspend the team and even resist a Katusha-like appeal. Let’s take a look at what this means. The ISSUL audit was supposed to be published by the UCI in “early February 2015” and the high stakes probably explain the delay. L’Equipe suggests its because the team’s management hasn’t taken enough steps to stop riders from being tempted to turn to doping and that it treated the audit as a formality rather than a fundamental probe. The mechanics of a licence withdrawal are simple: the UCI asks its Licence Commission to take away the licence. The Licence Commission is an independent office staffed by a handful of Swiss bigwigs. Under the rules they issue licences but can also withdraw them in exceptional circumstances, if the original licence had erroneous information or the facts have since changed. Any CAS appeal will take time, possibly two months, and there is scope for Astana to make a separate fast-track appeal to win back its licence on a temporary basis in order to keep riding. The Licence Commission could see Astana demoted to the second-tier UCI Professional Continental Status but if the ISSUL report is damning then this is unlikely, we’re not talking about an administrative or financial shortfall as happened to Europcar but a fundamental problem. Take Vincenzo Nibali who is earning millions, to break his contract would be to stop this moneyspinner and join a new team on a fire sale basis, especially as he’d want to take his entourage of riders, masseurs, mechanics and coach Paolo Slongo. Who has the room and money? What would the management do? The team is Venn diagram with a circle of Kazakh sponsors rallying around the totemic Alexandr Vinokourov which overlaps with an Italian circle containing team manager ‘Beppe’ Martinelli and riders like Nibali, Fabio Aru, Andrea Guardini and so on. The theoretical solution would be a management clear out but the Kazakh sponsors can hardly get rid of Vinokourov. The team has changed managers over the years, you’ll remember – chuckle – they brought in Johan Bruyneel to help clean up after previous doping scandals and this was just one of several managerial switches. There could be a managerial clear-out but it’s hard to expect. Instead we’ll probably see money thrown at the lawyers with an appeal. Cookson + L’Equipe: after the track worlds in Paris Brian Cookson visited L’Equipe for an interview with Gilles Simon who has the Astana scoop today. Coincidence? L’Equipe seems well-informed and hinting the UCI is sure enough of its case based on the ISSUL audit that it can strip Astana of its licence and resist any appeals. The beginning of the end for Astana? L’Equipe reports the UCI is sure of its ground, that the ISSUL audit is potent enough to strip Astana of its licence. Note the finality, the audit is not a list of recommendations and improvements, instead it has moved the UCI to dismantle a whole team, taking the reigning Tour de France champion with it. None of this is certain. For now the UCI has simply asked the Licence Commission to review the file, yet it’s hard to imagine the UCI going public like this unless it totally sure about the outcome. As kite-flying exercises go, this is like having a go in an electrical storm and using a steel wire. Astana can race for now but if the Licence Commission agrees with the UCI then it’s only a matter of days until the team is pulled from racing. Then the lawyers get to work, there could be a temporary reinstatement allowing the team to race on pending an appeal, we’ll see. This is such a serious decision that the UCI surely has to be so confident in this decision that it can effectively pick a fight with team represented, funded and supported by a large country. Good work INRNG and good work Brian Cookson and the UCI. Too early for hallelujahs maybe, but cheering news nonetheless. It is to your great credit that you have managed to digest this news and produce such a succinct and informed summary before many major news outlets have even managed a headline. Chapeau Inner Ring. Thanks, hope you weren’t in trouble for it. I probably just digested breakfast ahead of others, no particular skill involved in that. Ironically this implied connotation is what kept me from reading this blog when I first heard about it, because I interpreted it as being on the inside of the doping ring (omerta) in the peloton. I thought the blog was about some guy who pretended he knew about everything going on inside the teams busses and hotel rooms! Reality bites Astana. The possibility of the current TdF champ missing the Tour? Whatever next? Let’s hope this is a swift conclusion, that doesn’t distract people from those in the sport who diligently demonstrate their privilege, responsibilities and excitement on and off the road. Thanks INRNG for the insight. That would be the first time the reigning TdF champ has missed the tour against their will for what…2 whole years! At last the UCI bites. While I have some sympathy for some of the younger riders they all knew about Vino and his history. It’s a shame that a country like Italy can’t get sponsors for more that one ProTour team. I expect the lawyers to get rich on the back of this. Wow, the same guy agreeing with himself twice, good work. So… you are writing off CIRC without seeing it? The Clinic cynics have painted themselves into such a tight corner that all they can do is dismiss everything. Indeed. Some people’s attitude to cheats is “Everyone cheats so let them all carry on”. This is not so much a wanting to tackle the issue as a wanting to go “Lalala, I can’t hear you” and hope it goes away. Which a certain Vino does all the time. There are those that think as you say, but this is a lazy attitude of someone who may be lazy about their morals as well. Then, there is the crowd on the other end of the spectrum who think as you do, but this is incorrect as well. You cannot just read the papers, accept what’s written or reported as correct or fact and then jump on or join in with the mob and your pitchfork. The culture on the bus and in the bunch has always been that Every advantage, as long as you don’t get caught, was part of the contest. It is only very recently that the whole PC, ethical argument has come to the fore. It’s being driven by the public, not the pros. Now, before you make some uneducated assumption about me; I have been an athlete on an international level, I have cheated once, on a very bad day, way in the back where it didn’t really matter, out of a combination of laziness and frustration. I withdrew that evening and will always regret that lapse. I believe that the rules are the rules and everyone should follow them to the limit. But, human nature, generally, is not that ethical; people lie at work, cheat on their spouses, steal at the news stand, whatever. Professional athletes, especially at the top of the heap, are driven by something that you will rarely read about, that you will never feel yourself. It is an obsession with winning. An obsession with the riches and the glory. And, how often have you ever heard a cyclist complain about a doping cyclist that beat them? Almost never. Why do you think that is? EVERYBODY dopes. It is wrong, it’s against the rules and the laws. But it’s the fact. And no governing body run by ex-dopers and unethical liars is going to clean it up. They’re just polishing the image. They are turning the sport into a circus, organized for the betting houses to fleece the punters and polished for the sponsors so everybody is happy. To effect change in a culture takes at least two and probably three generations. It takes a Long, concerted effort to evolve every facet until there comes a day when no one alive can remember the day when everybody doped. Hang on, you’re arguing with yourself now to make it look like you didn’t agree with yourself? What’s going on?! The rotten apples need getting rid of, not transferring to a different barrel, as we have sadly seen can be the outcome in cycling. Froome and Contador (so it doesn’t matter what camp you’re in..) both throw down mind boggling mountain stage performances on alternate days at the Vuelta a Andelucia, a display of each team’s strength that smelled a little choreographed. Two brothers (think about it, really) both get caught for the exact same amateurish EPO doping offense. Yes, they’re dopers (kick them out forever), but this can’t be an indictment of the Whole team. Vino was certainly a doper, but so was Vaughters (and everybody else). Vaughters, managing a team of ex-dopers like an Al-Anon support group that can hardly get out of their own way (which is telling), who has never spoken once of the suspicious performances of the successful teams in the peloton, is the standard bearer of Omerta. Though they’ve removed him from the PR packet, Makarov is still connected to Katusha. Who knows which team is the dirtiest, but they’re a contender. Makarov, an ex-doper himself, President of the RCF, founder of the RGCP. The fact that he is on the UCI management committee is laughable. Interestingly, with Astana gone, Mak’s got another team waiting in the wings for their spot. Change requires a slow, methodical, obsessively monitored process sustained over a very long period of time. I find it hard to think of Vinokourov as a mere “straw man” who has been set up to take the fall here, he’s made a series of decisions during his career, even since his amateur days. Exactly, Vino has demonstrated throughout his career on adn off the bike a total commitment to doing wrong that it’s almost admirable. Name 4 even moderately competitive cyclists presently racing that are beyond a doubt clean. How about DSs that have no knowledge of their racers doping. They all dope. Only the idiots or the targeted get caught. He is not a mere straw man. He is also an ex doper and a doping enabler. So are Vaughters, Rhys, Sir David and Lefevere. At the moment, Vino is a PR problem and, therefore, a straw man. Factual error: Sir David had never in his life raced a bike, unless you are alleging that he doped in the amateur races he entered (which I doubt he did enter many if any at all). Froome and Contador “choreographed”? You don’t seem to be talking about the Froome and Contador I’m aware of, neither of whom would lose on purpose. Neither were their performances “mind-boggling”. You must have swallowed a glass of hyperbole before you started typing. Quite a lot of people were urging the UCI not to award Astana a licence before the season started and Cookson was forced to explain, when they did, that there was no point taking it away if they didn’t have the legal basis to do so. He obviously didn’t want to be in a Katusha situation again. At the time some people moaned he was just being weak. But maybe now we see that he was just being very clever and waiting until he was sure he could make it stick. I don’t really follow the rest of your argument but it seems to be a variation on “if one is doping, they are all doping” or “if one has a bad past, they all have a bad past”. Well, its true, more than one person in team management and on the road does indeed have a bad past. But what are you going to do about that? One thing, I suggest, is take their responses to that into account. On that front to equate the likes of Vaughters with Vino is a bit silly. Vaughters is not perfect by any means. But is he comparable with Vino and is the team Garmindale comparable with Astana? AStana have been suspect for years. They were where self-admitted cheat on a grand scale Lance came back to. They think the likes of Vino and Bruyneel are credible people to have as leaders. And last year they had multiple confirmed doping cases attached to them. I don’t think there are many cycling fans who think they are as pure as the driven snow. If Cookson can nail them then I say good for him. Let him do it. You can only deal with the cases that come before you. Its unlikely we would ever get a rule banning ex-dopers from running or managing teams. You can only attacks these things on a case by case basis. Given that most teams will come back with legal challenges you have to make sure you are water-tight before you pull the trigger on that process. Frankly, I hope this is just the beginning of things like this. If the UCI are to be credible and to make the sport ever more credible then that can only be if they carefully build their case and make sure it can stick. PS All doping cases are not equal. You’d do well to have a little more nuance in your analysis. I think that you SHOULD get rid of people that have been involved with doping. But you can only do that on the basis of evidence as and when you can build a case. If Vino has been dumb enough to get Astana embroiled in that then, frankly, he is now getting what many think he has deserved all along. I certainly won’t shed no tears for him. More comments like this ^^ please and less of the ill-informed Anonymous mudslinging. What you are saying, Andrew, is that Vaughters is a small criminal compared to Vino? I don’t care. Both are criminals and should no longer be in cycling. There are 7 billion people on this planet. Plenty to choose from to replace those that failed at their job. New chance in life? Absolutely. In cycling? Hi Uli. No, I’m not saying that. In what I wrote above I was really saying that not every doper is comparable with every other. You take into account how they respond to that. If they respond by trying to reform and change things then maybe you would say that is different to acting like it never happened and/or carrying on with a team that still does it. Vaughters is far from my favourite guy in cycling. I get the impression he does things in his own sweet time rather than being the upfront, nice guy he sometimes tries to present. But even that is a world away from Vino’s “why are you still even asking me about doping anymore” stance. Let me be clear that in my ideal world anyone who could be stuck with a doping past would be kicked out. I wouldn’t allow Vino, Riis or Vaughters to be team bosses. Or Makarov to be an owner. Those who get caught now I would hand 8 year bans to. You are absolutely right that there are millions of others who could take their place. The sport is not dependent on any particular individuals. But we don’t live in an ideal world and I’m not in charge so you have to do what you can, when you can. I’m probably a bit more pro JV than either Andrew or Uli. I think if you got rid of the likes of JV, who did wrong but subsequently tries to change things for the better, then you would be hurting cycling. There may be several people waiting in the wings to take his place, but there’s no guarantee they won’t just fall into the same mould as the people around them. JV is certainly no angel, but to kick him or his team out would be a travesty. David, I think you and I simply disagree on whether JV changes anything for the better (you) or is just another doping enabler (me). Two brothers doped in an amateur fashion and you think Astana is embroiled?? Blue Kool-Aid or red Kool-Aid? They ALL dope, even your favorite rider. Mind boggling? I read Contador’s ascent on stage 3 was 16 seconds slower than Chris Horner’s ascent in the 2013 Vuelta. And you think Horner’s time was normal? Am I the only one thinking none of this would have happened if the team name was Ag2r instead of Astana? No. This has been building for years. If you’re implying that there is some kind of xenophobic element to this, then I don’t think you could be further from the truth. I think it happened because Astana have been dodgy for years and they seem to have slipped up YET AGAIN. I’m sure if AG2R had that record they’d equally be in as much hot water. But they don’t. Did Ag2r and its subsidiaries get 5 doping positives in 2014? No, they got two positives within a year some time back, just like Astana did last year. Back then nobody even thought about any additional punishment to the team to the self-imposed ban they gave themselves as a MPCC member. Interesting stance. I didn’t know this was a review of AG2R’s licence from “a few years back”. But I’ll sit pat while all the details emerge from the audit. What do you think the chances are that there are some links to cooperation with Ferrari’s coaching group. Since the UCI seems to actually be doing something about it this time, write to them and your national federation (I did to mine). Maybe they’ll review AG2R’s results from “a few years back plus one” and retroactively deny their licence. I have always wondered how Vaughters and Vino were allowed to remain the top dogs of their respective teams for doing the very same thing as Lance did. Someone here mentioned “scapegoat” when referring to Vino in the here and now today. Vino was kicked out of cycling for two years for doing the same thing Lance did. Can’t speak to Vaughters because I don’t know if he was ever caught and banned for a period of time, but have read and heard stuff, but it is not fair to assume the worst for me having no proof to comment. I just don’t like the guy, never did, and can only speak from his being caught up in the Taggart witch hunt. Vino got to return to cycling and raced and won and went on to get gold in the Olympics, etc. etc. etc. When comparing Vino and Lance, I’ll take Lance anytime. But if Vino was as bad as everything says, why was he not given the lifetime ban??? Why is it only for Lance? Lance should have gotten a two year ban but why wasn’t he? Vino, Ivan, Bosso, DeLuca to name a few were all given slaps on the wrist and told “don’t do that again”. Lance gets thrown to the dogs….because Taggart wanted a big white feather in his crooked cap. Lance should have been back in cycling in some worthwhile capacity. He learned his lesson and the knowledge he has of the sport and HOW to race, and HOW to race smart, and without doping he could ride anyone down on a level playing field. With Vino, his country stands behind him, bails him out, no one better touch him, and I just read a story last night that if the whole of Astana goes bye-bye, Vino will be protected. His country will not throw him to the wolves. What did Lance’s county do for him? Sued him for millions of dollars. No matter what Lance did we all loved him and couldn;t wait to watch his next race. Then he gets caught for doping, mind you, the same thing everyone else was doing, and all the others are let to keep racing but poor Lance gets taken to the cleaners, everyone saw a way to get all their money back they put behind him. Vino was the same hero in his country and he gets suspended and what not and his country still is behind him. He made a mistake. Lance made a mistake. Lance gets a lifetime ban, Vino? Here, you can stay in cycling, be the general manager of his country’s team. I do not condone doping, drugs, and all this other stuff I know nothing about; I wouldn’t know a marijuana plant if I saw one, but the point being why is one’s livelihood taken from him and the other’s not for doing the same thing? This Lance thing was so one sided, so blown out of proportion. All of what has and still is happening to him for doing what? Taking Peds to build himself up to be like the others he has to compete against who are doing the same thing? Vino included, and several others. Lance gets a life sentence. Get real. Lance did not kill anyone, he did not have a gang on the street shooting a person every night, he did not rob banks , he did not go into schools and shoot many people. He took performance stuff so he could keep up with everyone else in his era of cycling. Taggart cause the wonderful sport of cycling to lose its most valuable possession and I think he ought to have his lifetime ban lifted, get back into his sport and work with today’s riders as a coach. He didn’t do anything so wrong. Look around, Vaughters, Vino, Bosso still in the sport, two are general managers, one is sitll racing. So I am saying here that if cycling is going to be fair it needs to be fair one and all. You get caught oping no more slap on the wrists, you get a lifetime ban like Lance got for his first offense. Of you all say no to this? Cycling would crumble? So it’s ok for these others caught doping to keep riding and managing? Boy if that isn’t the pot calling the kettle black. Im a huge fan of Vino and was happy to have in back in the sport after his 2 year ban, and was sad to see him stop racing but was happy to see him stay in the sport. Will he be tarred and feathered and his country disown him? I think not. Should Astana be kicked out of the sport with a lifetime ban? No. Should Lance have been kicked out the the sport with a lifetime ban? No. But Astana, ALL of them, no protected Vino, should be kicked out for two years from all levels of cycling. Bring up United Health Care to take their place, and promote the Bontrager U-23 team up to the next level. (Sorry If can’t remember their new name this year, they were called Bissell last year, got a new moniker this year again). And in closing here is a question I’d like to see answers to: You all (and I mean you all to be all inclusive of all professional sports) think cyclists are bad to the bone and want them all before the firing squad and shot at sunrise and boo and hiss at them, but you watch football, basketball, soccer, most all of whom dope with Peds, and you cheer them and support them, and the top brass and the courts give them slaps on the wrists for doing far worse things that cyclists do. Examples? Adrian Peterson for child beating (judge just set him free and back to the NFL he goes, saying it’s ok to beat a child, go play more football, that other guy, the quarterback, Vick, goes to trial, it’s ok you run a dogfighting business and many innocent dogs were killed and mangled and screamed in pain while they got ripped to shreads, it’s ok, Vick, slap on the wrist, go back and play football, and it would not surprise me at all in another year murderer Hernandez will be back in the NFL. But LANCE, he gets everything taken from him, lifetime ban, loses his foundation, and for what? Taking performance drugs so he could keep up with the Joneses in his sport or go home? And now we have an entire team about to go down the tubes in cycling, and for what? 3, 4, 5 riders just for taking Peds? Look at the baseball players and tennis players? Anyone who thinks they are not on Peds has their heads in the sand and people love them and cheer them on. Sports have become impossible to play due to the level they have pushed themselves to. Rookies can’t make it anymore in the big leagues on pure raw talent. Now yesterday it comes out that a pro golfer has been doping big time and a commentator yesterday said that this guy makes what Lance did child’s play. Will be interesting to see what that sport does to this guy. I couldn’t tell you his name because I am not into golfing and other than Woods, Mickelson, and Palmer and Nickenson I don’t know any other names in the sport. But yes cycling needs to be cleaned up as do all the other sports that it takes more than just going out there and riding a bike from point a to point b, and getting beat up for 3 hours on the gridiron every week, and run into the ground for hours on a soccer field, so what if those players have to use performance enhancing stuff to actually DO their sports or go home and forget it. The blame shoould be on the owners of the teams in these more than demanding sports. I cycling every year the races get harder and harder, the mountains get higher and steeper, and the organizers want their race to be better than all the others. If Lance was ten years younger today, and in top physical condition, and put in a race with the riders of today, he would not be able to keep up with them, his body couldn;t do it, but put him on Peds and transfusions, and he would beat them all. And most of what I saw and read was that all the people that testified against Lance in front of Taggart were not testifying about his use of Peds, he was the attitude he aquired when he was racing. Everyone knew how good he was, peds or not, but all the testimony that came out was about how he treated people, and gave the media a nightmare, that is grounds for banment? I think not. But Astana is another story and yes they should face the price if they are proven guilty and out they go for two years, including Vino. He is one of my favorite racers, but if the team goes, he goes. Come back in two years. I’m sure I’ll hear plenty back but that’s how I see all of this. I did read it. Still say Lance was no more than athe result of a feather in Taggart’s cap. I am glad you reduce Johan Bruyneel to a ‘chuckle’. As you say, this is a bombshell. There shall be fallout. Was so glad that Jani Brajkovic got himself out of the den of vipers. Could never understand why he went to that team in the first place. He should have gone back to Trek (RadioShack) or to Sky. And Lars Boom, too. Was really disappointed to see him go to Astana. Apart from the sure to follow legal mudslinging match which is bound to follow, what I find the most interesting is how this will affect the transfer market and team rosters for 2016 onwards. Let’s take it as given that the Italian faction of the team won’t be riding for Astana in 2016, even if the team is able to get their license back. With the proposed reduction in squad sizes set to go into effect in 2017(? ), there really isn’t a team with the combination of finances and enough free space to take on Nibali, Aru and supporting actors of Agnoli, Tiralongo etc. Will we see IAM, Bora or MTN see this as a possibility to cement their position as a (potential) WT-team by signing a marquee GT-contender and thus being able to up their budget? Or will it be the bigger teams like BMC, Sky, Movistar shedding super domestiques to those aforementioned teams to make room for Nibali or Aru, thus giving the likes of Henao, Roche and Caruso the chance to ride as clear-cut leaders on a smaller team? With Katusha also possibly folding and teams reducing their roster size, I foresee another transfer window with the WT-teams being able to negotiate on their own terms and a lot of decent riders having to take a step down to pro-conti teams. And a lot of eastern European-riders not getting a gig at all. Hopefully this’ll be a chance for new pro-conti teams to spring up á la Rompoot this year. I think it’s fair to say that Nibbles has proven over the last season that money talks when it comes as to where the venn diagram with credibility and team choice. Although it would be nice to have a proper GC-contender on an Italian team, I would think there’s neither the finances nor supporting cast for him to consider Lampre a viable option. Is there no chance UCI is playing this card knowing that the Swiss bigwigs will not withdraw the license which would give UCI creditability points while keeping Astana in the circus? I can see this but would you like to tell the world “we think this team has fundamental problems with its attitude to doping” just to make a signal? The UCI can’t play games here, it’s picking a fight with a team and by extension a whole country given the Kazakh government backs the team. I agree with you Inrng. In that case the UCI would effectively be calling Astana cheats but doing nothing about it. They have to follow it through to the end if they are convinced there are grounds to impugn a whole outfit. Seems unlikely, as the process will cost the UCI time and money too, so they’d want to be sure. Having said that, they wouldn’t be the first prosecutors to lose a case they were sure of winning. I’m also not too sure much weight can be attached to an insider stating “the UCI is sure of its ground, that the ISSUL audit is potent enough to strip Astana of its licence”. They’d be unlikely to tell L’Equipe they thought they’d lose, after all! Hopefully the evidence is bullet proof because other people involved in the team who may well be 100% innocent could lose their jobs/livelihood over the removal of Astana’s license and it it would not be acceptable for these innocent people to be affected without proof/solid evidence. What happens to these innocent people for the rest of this season? Clearly there are riders and staff members in Astana that should be banned and not allowed next to near the sport again. If the sponsors haven’t got the business acumen to pull their sponsorship now, they surely aren’t suitable participants in the sport. If links to Ferrari are confirmed, anyone with such links has not got a leg to stand on and should be banned for life. If or when the license is pulled, this may leave the door open for a new sponsor (knight in shining armour) to take over the remainder of the season. Obviously there would need to be a new team structure sorted out but I would think the someone like Fernando Alonso could sort the finances. It would also create a strong team assuming that the top names aren’t associated with this steaming pile of sh*t that feigns innocence in this debacle. There is speculation in L’Equipe that Specialized could place Nibali with Etixx-Quickstep given the contractual links. Cue a small, angry manxman exploding somewhere in Tuscany. Why? Last time I checked Nibali wasn’t a sprinter. Adam, I seem to be uable to reply to your comment but it would be because I imagine the tour team would then be built around assisting Nibali on the GC, not Cav for stage wins wihich was exactly the reason it didn’t work out with Sky. To be fair, Nibbles was practising leadouts in Oman! No, Nibali isn’t a sprinter but how much support is Cav going to get in the tour if Nibali is on his team? I really dont understand why specialized dont try to construct a ‘works’ team. Surely this would allow them to have more control in avoiding doping cases. Why go for marketshare and provide bikes for three teams when you could build one team as a manufacturer and get much better results from advertising and prestige, just think of mercedes or ferrari in F1. This way they can sponsor three teams with Astana, Etixx-QS and Tinkoff-Saxo. Bike sponsorship is getting more and more expensive but it still works out well because they’re covered across many fronts at all times. More culpability in the inevitable doping cases, too. The thing is, the “sponsors” of Astana are basically Kazakhstan, based on the money their natural resources bring in. The team is basically their vanity project. To have a pop at Astana, named after the capital city of Kazakhstan don’t forget, is to basically have a pop at Kazakhstan. If and when they are completely banned it must be the case that that organisation is not allowed to ever rear its head in another form again. In a way I agree with you about the innocent parties losing their livelihoods and for their sake at least, it’s extremely important to make sure due process is followed. However, it’s hard to have much sympathy for anyone joining a team as shady as that. If you play with fire you’re going to get burned and the Astana bonfire has been raging long enough for everyone to know the risks. I very much agree with that Adam although I see that some on Twitter (hint: Daniel Lloyd) are very much going down the line of “think of all the innocents this makes unemployed”. Well, yes. But there are always casualties of war. Did none of these people really ever ask themselves if working for Alexander Vinokourov was the most sensible choice they could make? Certainly, I would have. I feel for the smaller fry. It must be tough choice – ride for Astana or forego being at the Pro Tour level – that’s a big ask for the lower-end of the peloton who don’t have multiple contracts on the table. I also understood teams had to have bank guarantees in place in case sponsors walked away or whatever. Do those come into play if the licence is withdrawn? The riders would then at least be paid. The bank guarantee can be used if the team’s funding were to vanish but it won’t be enough to cover everyone’s wages for the whole year or beyond if they have longer contracts of course. If some of the other options are to ride for admitted doper DS like Riis, to be a support rider for a convicted doper like Contador, work in a team that still employs a doctor with a shady past or one that is not yet sure it will have a sponsor this year it suddenly may become a fairly sensible choice. Apologies for putting words into your mouth. t’s very instructive to look at the difference between how this situation has been dealt with and the Katusha case. It would nice to think that the armchair experts who were hurling abuse at Brian Cookson & the UCI for not throwing Astana out last year will finally understand that what cycling needs is a firm leader who follows the rules and is prepared to play a long game. Not an idiot dictator who makes things up on a whim for a quick win (and subsequent humiliating loss). I couldn’t agree more. Let’s hope that Cookson doesn’t muck it up. He has often seemed to dither and be reactive and often caught on the hop so far in his leadership. But this could become (could!) a big feather in his cap. Well said. Cookson is on his way to being one of the foremost sporting administrators of this generation. Just taking on and defeating an incumbent is almost impossible in sport these days, let alone then making meaningful change. No, the speed is not to everyone’s taste but instant solutions rarely stick. What is really encouraging is that despite the normal absurd noises off (Vino a scapegoat!! ), real progress is clearly being made. I’m a long term sceptic who is being drawn back to Cycling because its clearly not business as usual. Not saying all is or will be well but I’ve at least got hope now. That’s a superb monicker. Chapeau. Yeah, right. And American professional wrestling is real as well. Cookson is an administrator, a follower of process and rules. He’s had lots of flak for being indecisive and not achieving what he was promising. Now we have some action, hopefully because there had been delay whilst evidence has been acquired and due process is being followed, so Astana will be out. Like most of us, I don’t know the important detail. BUT, this is a team run by a known and openly unrepentant doper, who has employed a string of DSs with an equally unsavoury backgrounds. Whatever the final outcome, the UCI and Cookson should be congratulated for taking a long needed stand against unprincipled people being associated with the sport. You could just as easily be speaking of SKY. They’re just a little more clever and say all the right things. I believe that if we knew all the facts, Cookson would make Verbruggen look like an alter boy. My two cents: biggest impact of this could well be that riders will get much more picky on which team to choose. Would Boom ever has made his transfer if he considered a license withdraws to be a realistic possibility? No. And neither would Nibali. If the message goes through the peloton that dodgy teams will get action taken against them then maybe we might see riders making more informed choices and not just following the biggest paycheck. Because, let’s face it, Nibali (and likely Boom too) followed the money. You would never join a Vino outfit for credibility! I wouldn’t count on this. Maybe for a few, but the demand for slots on teams outstrips the number of team slots available. If one doesn’t have other options, most will go where they are wanted. Dodgy teams will always have full rosters as long as they are teams and if there are not alternatives. The biggest problem for a rider would be to decide which teams will be labelled as “dodgy” within his contract’s duration. Most WT teams *are* quite dodgy, but that’s not a problem until time comes for them to be officially labelled as such for whatever reason, and thus end under the magnifying glass (usually because of some kind of political struggle, see Makarov-Katusha etc.). We’re now laughing about that choice, but hiring Bruyneel to get “cleaned up” wasn’t a crazy move at all; in that specific moment, it made sense, absurd it may look if we suppose antidoping fight is just driven by “catching cheats”. But even if it, indeed, catches cheats (that’s the case, more often than not, since it’s easier to catch a cheat than a clean rider), that’s not the primary reason it has to get moving. Hence, as a rider you won’t easily find any safe place to go… even imagining you’re riding clean. Well, that is of course not a matter of black and white – but I think most here would agree that joining Astana has another feel to it than joining let’s say BMC. How is Phonak 2.0 so much better? I’d say those two teams are not far apart considering their pasts. Two big question arise from this. Will this effect Vino 4Ever And is Anonymous 2 different people?? There are multiple Anonymouses. We are Anonymous. I regard all anonymouses as not people at all. If you can’t even give yourself a name why should anything you say be taken seriously? But what if you reply with a made up name? I agree. But I think Inrng should make a name and a email compulsory nevertheless. My guess is this is just the start. Cookson is making good on promises and I think it’s unfair to say he has dithered. All along he has suggested that this isn’t over, but that he needs to have solid foundation in what the UCI does. The process has been amended and will continue to be amended. There are many, many ex-dopers (and current dopers) still involved and clearly it would not work to kick everyone out or that would mean pretty much 100% of those involved before 2008 when it was almost legal for whatever reasons, be that protection or lack of credible testing etc. This was the UCI’s fault in some respects. To move forwards the UCI have to continue to make good on their promises with this, Padua, Kreuziger et al. As a final point, no credible rider should ever have joined Astana anyway. Let’s await the full facts, I’m particularly interested in the Ferrari elements. Sadly, since CN closed its comments facility there has been an increase On Inrng in the trolling and mudslinging style of commentary that so spoiled CN. Fortunately, 90% of the comments on here remain sincere, informed and well thought out. I will admit that on reading the various Anonymous entries above, my immediate reaction was to wonder whether Astana’s social media team had had a busy morning. Long may Inrng remain the source of knowledgable and insightful commentary on cycling, both from Mr/s Inrng and from those of us that follow this blog. Hiya, I’ve been reading and commenting on this blog for a good 4 years and am responsible for a couple of ‘anonymous’ posts above. I just don’t want to put my name on t’internet and can’t think up a name to go with. I’m offered ‘anonymous’ so i take it. I don’t believe in any astana pr conspiracy or in fact that there is much mudslinging here. It’s a contentious issue, doping is rotten, but good people will potentially lose jobs etc so people get het up about it. Debate is good. With apoligies, re-reading my comment I have tarred all “anonymous” posters with the same brush (does that put me under the bridge with the trolls?) which was not my intention. However, some of the anonymous posts are not of the well reasoned type that is most common on this blog and it was those posts that I was taking aim at. Anonymous comments are welcome, especially if they’re reasoned and help debate, conversation… or just amusing. Why don’t you use your own name Vino? Ha ha ha. P.S. Only joking, well it is Friday. I really appreciate the fact that people can stay anonymous here if they choose, and double because it still stays polite most of the time. But it would help readability if there was some automated numbering of anonymice (awesome word!) to avoid confusion. When a post on this subject labelled “anonymous” starts off by mentioning Froome and Contador you can bet that the point is not really to be taken very seriously. Wasn’t Contador with astana at one point, Andrew? Makarov, a doping cyclist, founder of one of the dirtiest teams (scott free), sits on the UCI management committee, bankrolls the Dirty campaign of the current UCI president who only won by a loophole discovered by a gambling software engineer. Yeah, yeah, cycling’s changing alright. Getting more votes than the other candidate is a loophole? Funny it’s taken this long for Kreuziger’s name to come up. Isn’t Oleg furious because his bio passport problems relate to another team, name beginning A? I sense a whole farm-worth of Vino’s chickens coming home to roost. I also agree with an earlier post – Inrng should make a name and email mandatory, or we should all have the pelotas to post under our own names. Thanks for a very informative and well written article providing this breaking news. Something seems rotten in Kazakhstan. Who would have ever guessed? Hopefully, this will be as transparent, as possible, and the facts released for all to digest and understand. I would hope that this situation would now give riders who ride clean and managers of riders who ride clean pause for thought as to the DNA of the team they are contracting with for the upcoming season. finally, maybe the pendulum starts to swing… come on Cookson! Count me as one who thinks if you’re going to make comments you should have guts enough to put your real name on ’em. If you’re some insider who wants to share all your inside information but can’t blow your cover, contact Mr Inrng – maybe he can issue you a special, certified moniker? I’m interested in two things with this case: 1. Will this team simply get bumped down a notch and get a wild-card invite to LeTour since they have the defending champion? That doesn’t seem to me to be much of a penalty if this operation is as corrupt as they’re leading us to believe. 2. What does the Padova inquiry add? It’s easy to blame all the cheating on Kazaks but what about the Italian contingent? I’d love to believe that Nibali, Martinelli, Aru, Tiralongo, Slongo and Co. are innocent victims who were told by Vino, “Relax ragazzi, I’ve got it all under control, you’ll have no problems here with us, despite my dodgy past.” only to end up in this mess, but at this point ya gotta wonder. If ASO was to not offer them a wildcard, then that would be great PR and of course the right thing to do after so many scandals. I’d eat my chapeau if RCS did this though! Somehow, if the Licence Commission and the CAS have seen something rotten in Astana sufficient to bust them down from World Tour, I can’t see ASO welcoming them. They might have the current title holder, but they did in 2008 too, and that didn’t stop ASO saying no then. You don’t get bumped down a notch. When Katusha lost their World Tour licence in late 2012 they started racing in 2013 with a Pro Conti licence but this was not automatic. Instead they were stripped of a licence to race and then had to reapply for a licence in January 2013 and with some promised changes they were accepted back in for Pro Conti status. So based on what we can infer, that the ISSUL report has some big red flags and flashing alarm bells, the most likely scenario is Astana lose their licence. They can try to reapply but it’s not certain… nor is anything else, we’ll have to wait weeks to see this as it’ll go on with appeals and counter-appeals. What about the guts to put your last name? It seems like most comments forget about the padova investigation. Many of the riders on astana may not be able to go to another team if they are embroiled in the investigation? I agree with the concept, but how can you tell whether somebody else has given you their actual name? Am I the only one noticing a certain irony in requests for posters to give a name, when commenting on a blog written under a nom de plume? No, that was my first thought too! Can we speculate on what these ‘compelling grounds’ are? Did ISSUL interview any riders? L’Equipe implies they interviewed lots of people, staff and riders alike. It seems to be this that led them to find the claimed gap between senior managers and the “reality on the ground”. What about that picture of Ferrari at the Astana training camp? Did that turn out to be real or just a rumour? Ferrari has also been seen at Lampre. Usually about 5th last on every stage. Do you know how many “doping doctors” there are on the Canaries alone? Ferrari is an antique. Explain such a comment, or else don’t put it out there. I wonder how many organisations would actually be found *not* to have a gap between how senior managers envision the organisation and “reality on the ground”. What’s the over/under on the time to Vino labeling this action a “witchhunt”? Big bold move for UCI and about time. The calls for the exclusion of past dopers in current team management are logical and just; however, Vino, Vaughters and Riis have all shown themselves to be rather adept at attracting sponsorship dollars, even in a relative trough of sponsor activity following larger scandals. You know the guy. This is by no means a call for mercy or for their continued presence in the sport, but we might ultimately be looking at a World Tour that is reduced to a dozen or so teams, with a brutally efficient natural selection taking place. Perhaps pro cycling needs to cut off a hand to save the body. I feel really bad for the many riders and staff members who have never doped but are likely to be forced into another line of work. Again, this is not an argument to keep the bad apples. Just an idea that we could be looking at a much smaller pro scene for a number of years as the tail of the dragon passes through. A bit mystified as to why the UCI have a separate, independent Licensing Commission. In a parallel universe, I deal with theFIA and the RAC……they issue the licences…it is their ball so you play by their rules…..
Why do the UCI have to have a separate, independent commission? So that its decisions are not tainted by talk of cronyism etc, the put the choice at arm’s length. Lord knows the UCI and cronyism have never been uttered in the same breath! But the FIA and RAC (is it no longer RACMSA?) don’t do any form of due diligence. As long as you have the signatures, you get the licence. The UCI process is a wholly different kettle of worms. if you say ‘MPCC’ with your fingers crossed behind your back… does the ‘credible’ bit still count? If there’re such problems, why did they grant that license last year? Ok, I got this audit thing, but seriously..
Because if they’d been denied the licence back then, they would have appealed to CAS and probably won. There is precedent for this when the UCI (under McQuaid) tried something similar with Katusha. 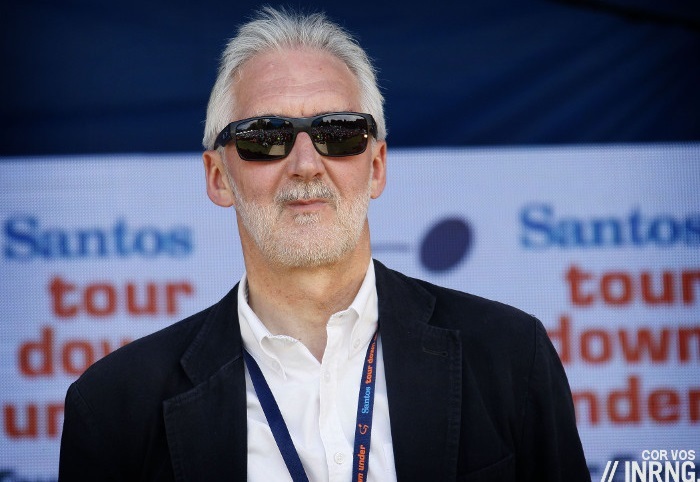 By allowing the licence, but with the audit as a condition, Brian Cookson has put Astana in a position where they have little chance of succeeding with an appeal. Very astute. Presumably they said that they were putting in place solutions to all of the problems. When Katusha said something similar in similar circumstances, the CAS held that there weren’t sufficient grounds to withhold their licence. This time round, Astana were granted a licence on condition that their claimed solutions (and practices generally) were audited. IT would seem there’s a gap between claim and results of the audit. Good grief, that’s a lot of comments, for and against! The UCI’s got them. That’s good! Now we let the process happen. Nice of Tinkov to come up with this tweet. Joel, thanks for sharing that tweet. Wow, what a poor choice of words – but hardly surprising coming from Mr. Tinkov. He is the Donald Trump of the cycling world. If Nibali is clean- and, naive (or just plain hopeful) as this may be, I’d like to think he is, he must be freaking out. I’m sure his agent has a phone in each hand today. I am having trouble picturing him riding for Etixx. I’m having trouble picturing him riding. So it’s all about gelO. What a surprise. Do I detect a small amount of concern for his own team and next years licence process? I want to say thanks for your analysis and very clear commentary. I’m glad I bought two INRNG hats recently, as you’re worth it. Would LOVE an Inrng jersey though! Great insightful stuff here (the content, not quite so sure about some comments! ), thanks for all of it. I haven’t read trough all posts – they are many! and many insightful! 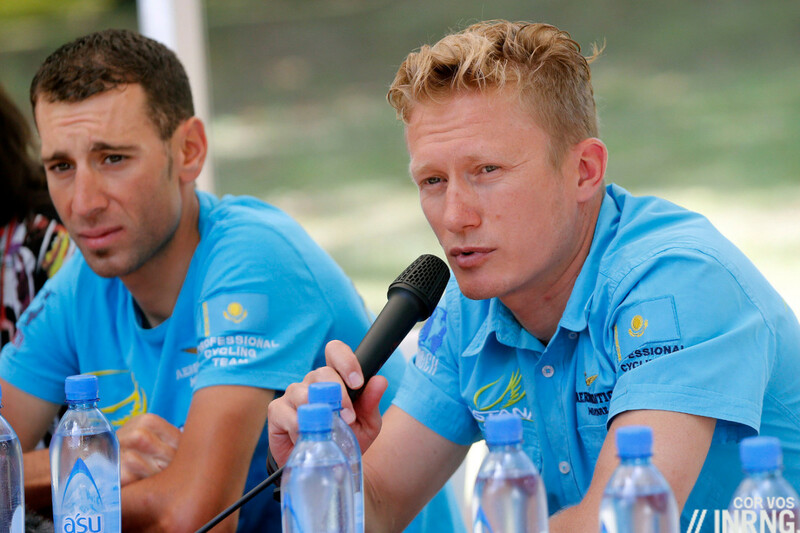 Two things – say forexample Fuglsang or Aru – have never doped – they may loose their jobs and racing experience during the rest of the season, that seems unfair to me – maybe the should have known, but still a complex situation. I would like to see the big bike brands, who gain for a lot of €€€€€ in publicity when one of their bikes wins a grand tour take a stance of this one. They are major stakeholders in this game, not responsible for the wrongdoings – but responsible for being part of a solution…. I have been reading the inner ring for all of 2 weeks. Couldn’t give a rats if contributors post their name or a pseudonym. What’s attracted me is the quality of the content, both in the published articles and in the associated commentary. We are in for some interesting times in the world of pro cycling with the CIRC’s report yet to seethe light of day. I look forward to your intelligent and insightful response. 160 plus comments, some people need to get out on their bikes or are they too cosy sat at the keyboard? Have you ever considered it might be possible to do both Anon? I did 80km with 1,500 climbing today. You? To MattF, well maybe I should put a light on my helmet here Down Under and get out there and smack the tarmac really!! INRNG; When are the INRNG Jersey and Bibs coming so they can match my Cap , can’t wait. I’ve not gone btl since last season, but this event is significant in our sport’s history. I’ve waited 24hrs to watch initial fall-out and as IR posts, in his excellent analysis, Astana will now bring in their lawyers … which is exactly what has happened today. There are a significant number of ex-dopers still involved with the World Tour scene – in all positions: riders; managers; support staff; medical and media. If I’ve understood the UCI position correctly, Cookson’s beef, here & now, is not with those dopers who have admitted their guilt, served their time, and wish to genuinely take part in the reconciliation offer…good luck to them, second chance, et al. No, BC is after those individuals who remain unapologetic and yet are still retained as part of the WT circus. In making this move, the UCI must have solid, damning evidence against Astana and Vinokourov. Good. Frankly, it is about time that UCI made a stance against those who are known to have cheated, remain unrepentant, and yet still continue to make very good livings from our sport. I bet nibali is able to find a decent offer for his services. He is not without bargainimg chips (no one is forcing him to move and he is one of the few rock solid gt contenders). His entourage can join him in 2016 since space is probably limited. Since budgets are already set, perhaps he takes a pay cut for 2015 on the promise/contract of more money next year when budgets can be redrafted. as always, excellent analysis. thank you. I’m surprised the big bike brand sponsors aren’t kicking up more of a fuss to force the pace. It’s going to take a long long time before our sport is well and truly seen to be clean. anything that relates to Vinokourov should be avoided at all cost.